The Latin American airline is the number one cargo player in the Bra-zilian market. Door-to-door services offered by the carrier to shippers and forwarders alike have become increasingly important. The air freight market in Brazil is very fragmented, due to the vast geographical di-mension of the South American country, resulting in major distances between large agglomerations such as Sao Paulo, Manaus, Porto Alegre, Brazilia or Rio de Janei-ro. 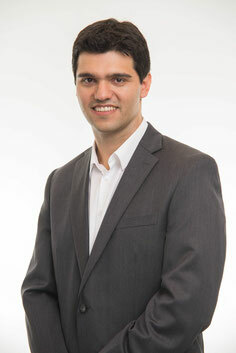 Brazil is the third biggest domestic market for air freight, next to the U.S. and Chi-na, states Diogo Nunes, Vice President LATAM Cargo of the domestic Latin Ameri-can markets. On average, his airline operates 600 flights within Brazil per day, in-cluding services provided by three Boeing 767 freighter aircraft, which also connect to Miami and Europe. According to him, 42 percent of domestic cargo uplifted at any Brazilian airport is flying in the holds or main decks of the LATAM fleet. Trunk routes are Sao Paulo Guarulhos-Manaus or Congonhas-Brasilia, to name just two. How dependent the Brazilian economy is on well-functioning air freight services is evidenced when checking trucking times. For instance, road transports between Sao Paulo and Manaus need half a month on average, not to speak of the risks of raids or other holdups they are exposed to during their intra-Brazilian journeys. Therefore, neither road nor rail are real options to air freight services in Brazil, for getting goods in time from A to B. However, in addition to the traditional airport-airport services rendered by carriers, LATAM Cargo launched door-door transports in the Brazilian market. “We contracted an armada of different vendors that we closely cooperate with, utilising their trucking or even motorcycle capacity to get urgent shipments as fast as possible from the place of produce to the consignees,” says Senhor Nunes. He emphasizes, however, that air transport must be an integral part of the product. “That’s our core competency, not trucking,” he elucidates. Customers interested in taking advantage of this product can choose between door-to-door and door-to-airport options with corresponding price differences. Further to this, they are offered different transport times, spanning from standard (three days) to next day or even next flight, the latter is based on a guaranteed cut-off time of 120 minutes. “When a ‘next flight’ booked shipment arrives at the airport the clock starts running,” illustrates Mr Nunes. Customers are immediately informed about the costs, based on all-in rates, includ-ing pick-up, air carriage and last-mile carriage to the consignee’s door. A similar product has been introduced to the regional market by LATAM Cargo competitor Avianca Cargo, offering door-to-door services to both shippers and forwarders under the name of “Deprisa." 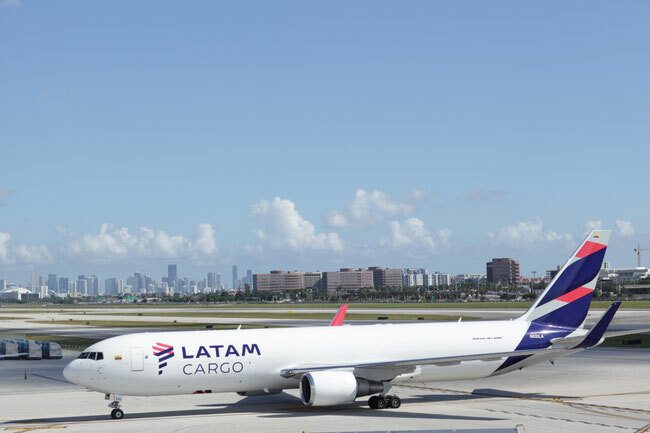 Meanwhile, LATAM has started two new direct weekly cargo services from Brussels and Madrid in response to the growing demand for air cargo capacity in the area. The Brussels operation is geared towards the carriage of pharmaceutical products within LATAM’s “PHARMA“ product for which the carrier holds IATA CEIV certification. In Madrid there is continued demand for the carriage of industrial products to South America as well as e-commerce, textiles and parcels delivery. The weekly Madrid service operates to Sao Paulo and Santiago de Chile.